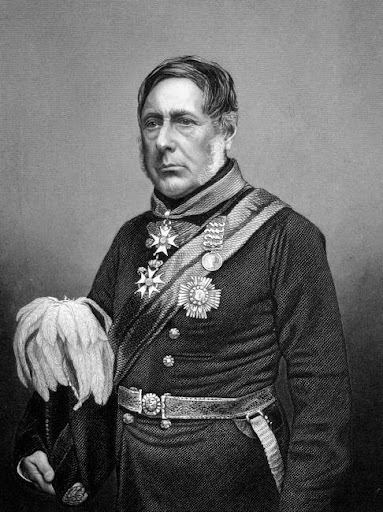 The prohibition of sati (widow-burning) by Governor General Lord William Bentinck in December 1829 is often held up as one of the crowning achievements of the British colonial state in India. In a Monty Python sketch asking ‘What have the British ever done for us?’ it would probably gain a mention, alongside railways, bicameral legislature and cricket. Supposedly inspired by a combination of liberalism, utilitarianism and evangelicalism, Bentinck’s regulation has traditionally been presented as epitomising the ‘civilising mission’, the supposed humanitarianism of which has been used to bolster imperialist assertions of benign colonial rule, at the time and since. In recent decades the idea of ‘civilising mission’ has been subjected to considerable scrutiny by historians, few of whom now take its supposed altruism at face value. Whether ‘a limited piece of window dressing’, a cynical ploy to detract attention from the inherently exploitative nature of empire, or a sincere impulse based on flawed assumptions, colonial initiatives for ‘moral and material progress’ were inextricably bound up with the orientalist attitudes and uneven power relationships of empire. Debates over the prohibition of sati embody some of these complexities. In her much vaunted monograph Contentious Traditions, Lata Mani has famously argued that the early-nineteenth-century British debate on sati was not simply an instance of benevolent colonial reform. Rather, she argues, it was an opportunity for the East India Company state to extend the boundaries of its control, by testing how far it was safe to intervene in the previously autonomous space of Indian religion and society. For Mani the decision to prohibit sati in 1829 was based not on humanitarian impulse, but on a pragmatic reconsideration of the nature and extent of colonial power. Likewise, missionary groups, though genuinely shocked by what they perceived to be an act of ‘heathen barbarity’, were not adverse to using sensationalised and sometimes inaccurate accounts of sati to bolster popular support for their fundraising efforts at home. Mani’s thesis has been extremely influential in pricking the self-congratulatory bubble of imperialist histories and providing a framework for critiquing the agendas behind colonial social reform. Yet to dismiss humanitarianism as an element in the sati debate entirely is almost as problematic as accepting the idea of colonial benevolence uncritically. What the sati debate reveals above all is that even at the time the idea of ‘civilising mission’ was both contentious and complex, with contemporaries disagreeing over what it encompassed and how it should be executed. As Linda Colley points out, in the early nineteenth century Britons were increasingly asking themselves how their new colonial subjects should be treated, ‘What responsibilities, if any, did the mother country have towards them? Did they have any claims on those vague but valuable freedoms that so many Britons considered to be peculiarly their own? Or could British subjects also be slaves as long as they were black and safely overseas?’ This is not to undermine the importance of the imperatives of power as described by Mani, of course, or return to an imperial-apologist interpretation of the abolition of sati as the act of a benign and paternalistic colonial ruler. Rather it is to suggest that political imperatives were always entwined with moral and ideological ones. Despite popular assumptions to the contrary, Europeans have not always condemned sati as indefensible. In the seventeenth century European observers were as likely to praise the sati for her fortitude, religious piety and conjugal devotion as they were to condemn the rite for its barbarism. In the eighteenth century the intellectual trend towards cultural relativism and religious toleration created space for an impartial assessment of sati. Thus East India Company official John Zephaniah Holwell, a man perhaps best known for his narrative account of the ‘Black Hole of Calcutta’ incident, could urge his readers to ‘…view [sati], as we should every other action, without prejudice, and without keeping always in sight our own tenets and customs…if we view these women in a just light, we shall think more candidly of them, and confess they act upon heroic, as well as rational and pious principles’. By the early nineteenth century, however, such ideas had given way to an almost universal condemnation of sati as a barbaric oriental practice and pressure built on the East India Company to outlaw it. The Baptist missionaries’ defense of the principle of religious toleration, even as they led the campaign against sati seems a contradiction, although it is perhaps not surprising given their own position on the margins of institutionalised Christianity in Britain. The debate on sati in India coincided almost exactly with the debate about Catholic Emancipation and the repeal of the Tests and Corporations Acts in Britain – disqualifications against Dissenters were repealed in 1828, and Catholic Emancipation was passed in April 1829 – meaning that the nature and limits of religious toleration were being debated simultaneously at home and in the colonies. …the burning of widows is a spiritual and religious act (however detestable), and therefore out of the reach of that code of criminal law that the British nation has permitted itself to impose on India. Tolerance has its limits, and those limits are clearly defined. The practices of superstition ought to be as free… providing they do not outrage the public decency, or break through the fundamental laws of what we may call natural morality. It was not the principle of religious freedom, then, but rather the definition of its limits that was open to interpretation. Raja Rammohan Roy, who led the Indian campaign against sati, sought to circumvent this conflict by arguing both the moral case against sati and contesting the supposed scriptural sanction on which the rite was based. In the years preceding 1829 opinion was divided not only as to whether it was feasible, but also whether it was morally desirable to intervene to prevent sati. Indeed, one reason why the sati debate was so virulent and so prolonged, spanning as it did nearly three decades, was because it set different interpretations of ‘the civilising mission’ in opposition to each other. This entry was posted in Andrea Major, Research and tagged campaigning, India, missions, religion, transnational histories, women. Bookmark the permalink.